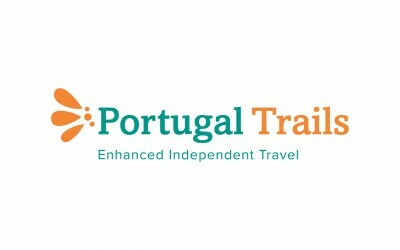 To Spain and Portugal, you should contact Portugal / Spain Trails. This is a very successful family tour companies which crafts trips "a la carte". 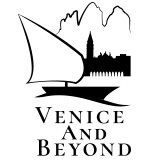 To Venice region in Italy, you can rely on Gabriella (who used to run a B&B in Bordeaux and decided to get back to her country: Italy). Gabriella is passionate and she will have you discover Venice region like no one else would do. Retinium Agency: They are the best Excel experts and France Just For You could not work properly without them. Understand France : An intercultural site to better understand France and the French. Barbara at Hole in the Donut Cultural Travel: We love her blog and have the same traveling philosophy. Barbara is also a talented photographer. Ride in Tours: Discover France on a motorcycle or a vintage scooter with Ride in Tours, a travel agency that operate countrywide. They offer various products from motorcycle rental to guided or self-guided tours. Sell and buy back option is also available for long term traveler. Motorcycle travel design by motorcyclists for motorcyclists. Senior Citizen Travel: Because Jeannine and Jim are real worldwide travelers and their blog shows their knowledge and expertise. Touraine Terre d'Envol: A flight in the Loire Valley, the Kings Valley, is one of the top 10 things to do in our beautiful country! Touraine Terre d'Envol fly hot air balloons in the Touraine region since 1999, so they know the region very well and offer you the richest variety of launch sites in order to show you the beauty of the castles and the landscapes of Loire Valley, France. You will enjoy a hot air balloon tour near one of the most beautiful castles: Amboise, Azay-le-Rideau, Chenonceau, Chinon, Saumur, Villandry… Moreover Aurimas and his team are perfectly fluent in English and very friendly! Self catering on the Ile de Re, My Home In offers a large range of villas and apartments carefully selected. If your preference goes to the south of France, you can have a look at My Home In Cannes, My Home In Nice or My Home In Marseille. For the "North", My Home in Deauville is the best choice! France Langue : Since 1976, France Langue provides to students of every level various programs (Au Pair Program, Business Program, Internships, General French Program or even preparation for the french exams (DELF, DALF)) in order to learn french in the 4 most beautifuls cities in France (Paris, Nice, Bordeaux and Biarritz). We loved everything about the trip. All the planning that was done for us took all the stress out of traveling to a country we had not been to and did not speak the language. Thank you so much for making the trip so very very special for us.